God, depicted here as the Sun is the the Center and Source of All Love and Light. 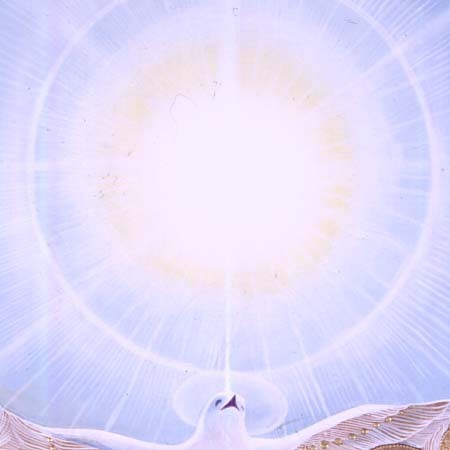 The Dove, which in traditional Roman Catholicism that Nan Sea Love was raised in represents the Holy Spirit, here as a bridge between higher human consciousness, which is unfettered by judgment, and God. Nan Sea is grateful to the Roman Catholic Church for its rich tradition of visual and other sensual arts, Gregorian Chants, incense, stained glass windows and great architecture all used to exalt the soul upward.